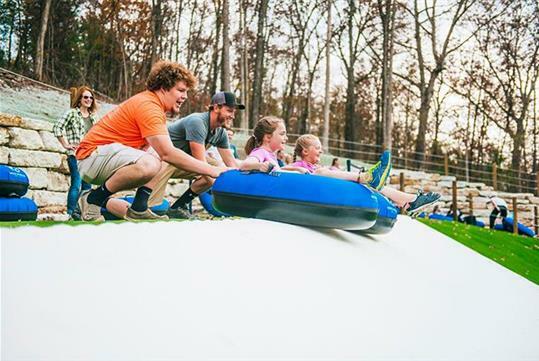 Experience the rush of snow tubing, no matter the season. 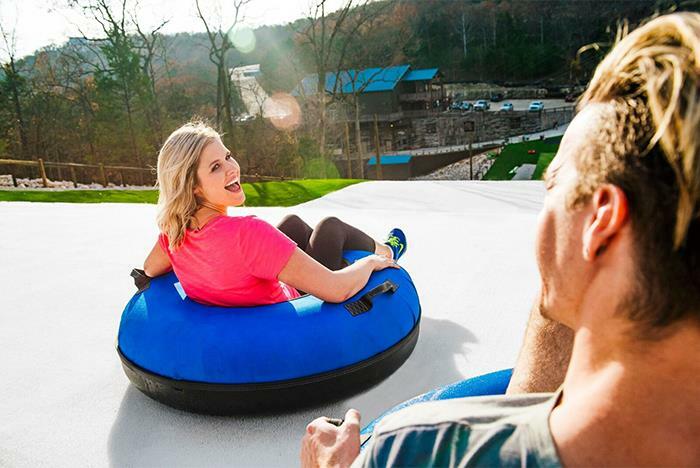 At Wolfe Mountain in Branson, MO, visitors can enjoy a day on the slopes at the USA’s largest synthetic tubing run which leverages Snowflex®, the highest performing snow sports surface. Guests of all ages can experience the thrill of snow tubing in the Ozark Mountains! Ages 3-5 must ride with an adult. Wolfe Mountain is open from 9:00 am to 6:00 pm daily. Ages 3-5 must ride with an adult. Visitors over the age of 6 can ride alone. Tickets are valid for one hour of snow tubing. All participants are required to sign a waiver before snow tubing. Arrive at least 30 minutes prior to your scheduled time. 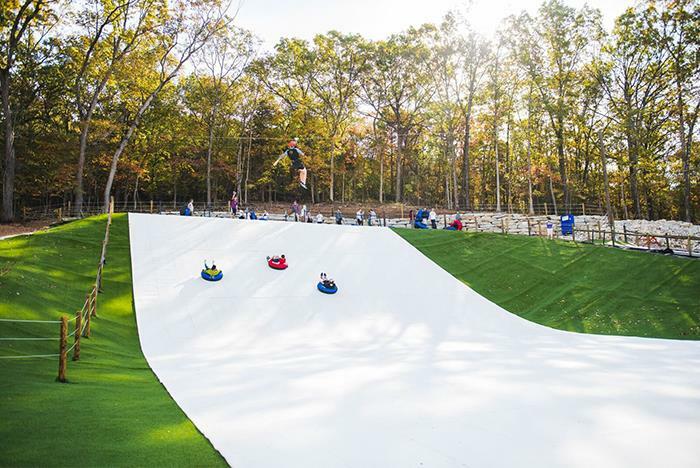 Wolfe Mountain is excited to announce that they have partnered with Briton Engineering Departments Ltd to design and build the USA’s largest synthetic tubing run using the high-performance snow sports surface Snowflex®. Can my children participate in snow tubing? Absolutely. Children ages 3-5 must ride with an adult in order to participate. Children above the age of 6 can ride alone. Are there health restrictions in place? Guests must be of good health and physical condition. Women who are pregnant or people with serious medical concerns, such as heart conditions, back injuries, or other serious illnesses, and are not able to meet the above requirements will not be able to participate. Is smoking allowed at Wolfe Mountain? Wolfe Mountain Preserve is a smoke-free property. There are designated areas for smoking. Guests may not smoke while snow tubing or in line for snow tubing. All participants must arrive to check-in at Wolfe Creek Station at least 30 minutes prior to their scheduled tour time. 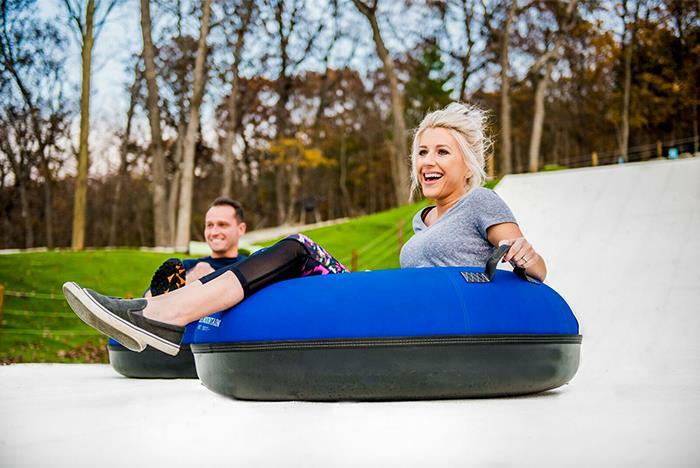 Your snow tubing experience will start on time and refunds are not available for late guests. Restroom facilities are only available at Wolfe Creek Station. Participants are required to plan accordingly; there are no facilities available on other parts of the property. Wolfe Mountain reserves the right to conduct tours regardless of weather. Snow tubing will only be cancelled, at the General Manager’s discretion, in the event of lightning. No refunds will be given due to weather.